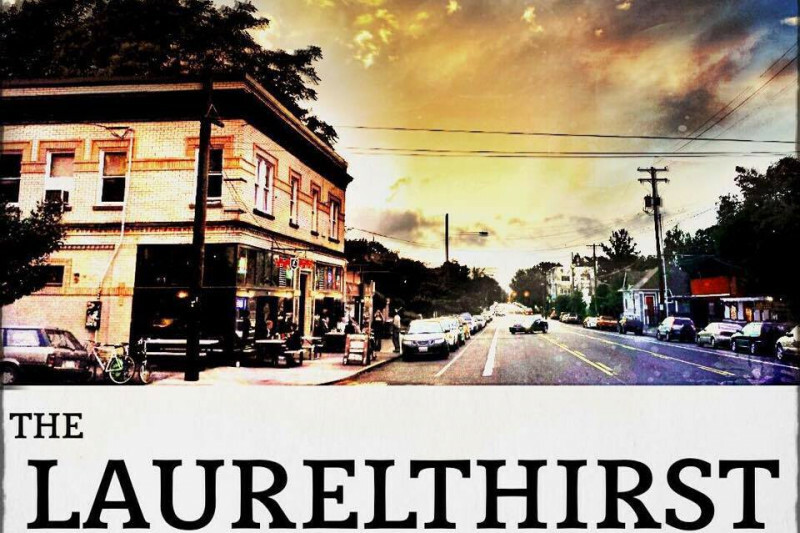 The Laurelthirst Public House Needs Your Help! 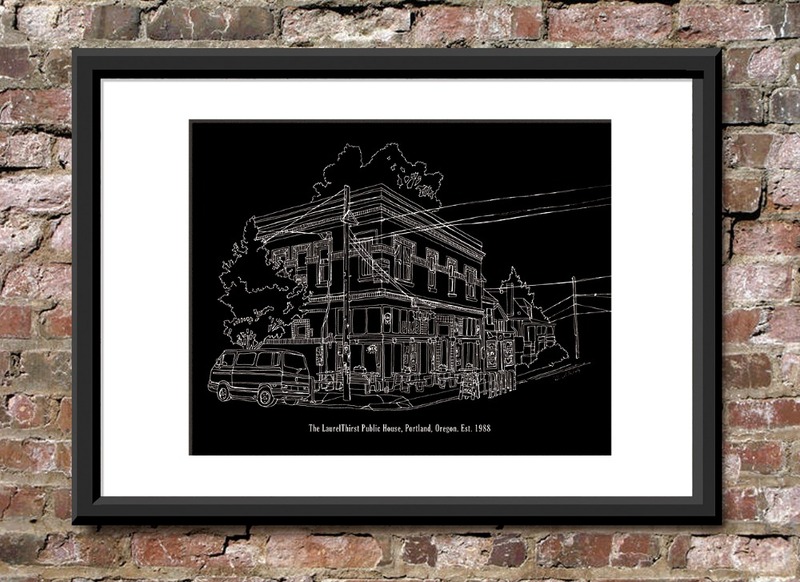 Please help us purchase the building that houses the Laurelthirst Public House. The owners of the building have been generous enough to allow us an opportunity to collect the necessary funds to purchase the property. We are looking to raise $135,000 to ensure the financing and down payment before March 31, 2018 to guarantee the continuation and preservation of Portland’s oldest independent music venue, serving the community with music daily since 1988. Constructed in 1911, this old Portland building’s first occupant was Leton’s Drug Store. 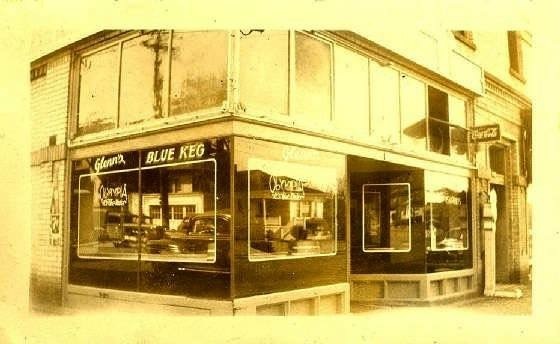 It welcomed its first bar, the Blue Keg, roughly two years following the repeal of prohibition. The location continued to serve the community as a bar and place of entertainment as the Blue Keg, Glen’s Blue Keg, and the Proper Perspective, until two fellas by the name of David Lee and Steve purchased the existing bar in 1988. They gave it the current name, The Laurelthirst Public House. A year and a half ago David Lee and Steve were approached by investors offering a large cash sum for the business and building. They started to think about retirement, but did not want to see the Laurelthirst go the way of many old Portland establishments. In recent years Portland has seen a population and subsequent urban development boom. Many old iconic structures have been torn down to make way for new development, to the dismay of the community. David Lee and Steve wanted to preserve what they had worked so hard to create. They began looking for someone to continue the spirit of the Laurelthirst, infuse new energy, and protect the legacy of providing an authentic musical and aesthetic experience loved by the patrons and attractive to new guests. They approached Nick Zerr, a longtime patron and friend, with the privilege and the opportunity to continue what they had created. Along with Brandon Logan, a longtime friend of Nick’s, Bart Yanoch, a Laurelthirst employee of 19 years, and Lewi Longmire, an acclaimed Portland musician who has been playing there for 20 years and booking the place for 10, David Lee and Steve worked to facilitate the acquisition of the business and the building. The four new owners purchased the business December 7th, 2016 with an exclusive option to purchase the building for a limited time following that. It is these new owners’ goal to preserve and promote what the Laurelthirst has provided for so many years, an establishment committed to the encouragement of the creation and production of live music for Portland. We want nothing more than to ensure the existence of the Laurelthirst for the community of musicians and patrons who have created and supported one of the most magical places in Portland, or across the country, for the foreseeable future. Early on the Laurelthirst began to see its introduction to live music through some of the patrons who would soon become regulars. Through conversations with Dale and Shirley Martin, Billy Kennedy, Tim Acott, Neil Gilpin, and Mike Beglan, David Lee and Steve became aware of a close knit and busting live music scene offered to the community through venues such as The Dublin Pub and East Avenue Tavern. Unfortunately, as these places moved or closed, there became a need for a new home for the community of Northeast and Southeast Portland musicians, and their fans, to continue their passion of creating and playing music. David Lee and Steve were up for the challenge, and soon saw the Laurelthirst emerge as an energetic and familial hub for live music in Portland. Nearly 30 years later, the oldest independent music venue in Portland, the Laurelthirst remains a home to many musicians presently offering 16 live music shows every week. A happy hour show at 6PM and a late night show at 9PM Sunday through Saturday, and additional brunch shows at noon on Saturdays and Sundays open to all ages. Regular patrons and guests alike will find a variety of bands and solo musicians ranging through Americana, Bluegrass, Roots Rock, Jazz, Old Funk, and Soul, just to name a few. In a testament to some of the musicians’ commitment to the Laurelthirst, the Kung Pao Chickens, our Monday late show, offering gypsy jazz swing music, has held the slot for over 18 years. Their bass player, Tim Acott, was the first person to play music at the Pub, and still plays there weekly, as he has for almost 30 years. The Tuesday happy hour band, Jackstraw, has held their residency for 22 years and still draws a full room of happy bluegrass enthusiasts. In addition to the older, more established acts, there are new comers that the old guard takes under their wings. Established acts invite newer arrivals onto stage to play with them, and often a new band is formed out of their collaborations. It’s a fluid dynamic that produces some of the best intimate music heard at any public house, anywhere. World class musicians can often be found on our stage, the ‘Thirst being the place in town they love to come play a small show after doing some world tour, headlining arenas or larger theaters. After the bright lights of the big music biz, our pub gives them what they are looking for in a low-key music experience. Several local acts have chosen to record live albums here because of the energy in the room. We greatly appreciate any donation no matter the amount. While we would love to be able to give everyone massive discounts or some other return for donating to our cause, the banks doing the financing for the building purchase don't allow this. All donations must be considered gifts to the pub, and are non-tax deductible. As a reward for higher level donations, many longtime Laurelthirst musicians have made themselves available to perform at your private function, house party/concert or such thing. Limited numbers apply. See reward levels for shows and availablity. A few stipulations: date of performance to take place within one year of donation, on a date and place mutually agreed upon by both donor and performers. Please, no weddings, corporate events, or public events. Venue must be safe and conducive to musical performance: structurally sound, dry, flat, and with adequate electricity and room for performers. Performers will provide adequate sound system for a small/medium space. Venue of performance to be within metro Portland boundaries or at a location to be deemed by performers close enough to Portland. Further distances may be considered for additional compensation to performers. Performance is intended to be one 90 minute or two 45 minute sets. Longer performance may be possible for additional compensation to performers. We are humbly asking you for donations to purchase the building. We will continue to support and advance the community of the Thirst for this new generation and ownership of the building will ensure this. Our style of fostering community would unlikely surivive if the building were to be sold to someone that wanted to maximize their investment by charging market value rent in the current Portland real estate climate. Our hope is to create a sustainable situation that allows us to serve the music and the magic by ensuring the continued affordability of preserving our humble little space. HEY HEY HEY! We made the goal and have signed the papers and funds are transferring, and we OWN THE BUILDING! THANK YOU SO MUCH! We have just a couple days left before this campaign closes, any further donations still go towards the building, and paying back various other places we had to source money from to fund this dream. We've added just a few more rewards, so check 'em out! WOW! We're blown away by the very generous donations we've received to help save the Laurelthirst by purchasing the building its housed in. Thank you to all who have already given your support! We now have a much clearer picture of our finances, so we were able to adjust our GoFundMe goal to $135,000 -- and we're just $30k away from that! We still need help to get to the finish line, so we've added more rewards, like year-long and lifetime passes for free admission to shows and even more private house concerts from Laurelthirst favorites like Little Sue, Taylor Kingman and the Quick & Easy Boys. Take a moment to check out our campaign; if you're able to make a contribution of any size, we're eternally grateful. First and foremost, we'd like to say a big THANK YOU to all of those who have donated so far. Your support is greatly appreciated! We're just getting started, though, so please spread the word far and wide about our special and unique community. It's going to take all of us to ensure the Laurelthirst remains open for decades to come. We've added more shows and services! Please take another look, as that show that you may have wanted just might be available again. 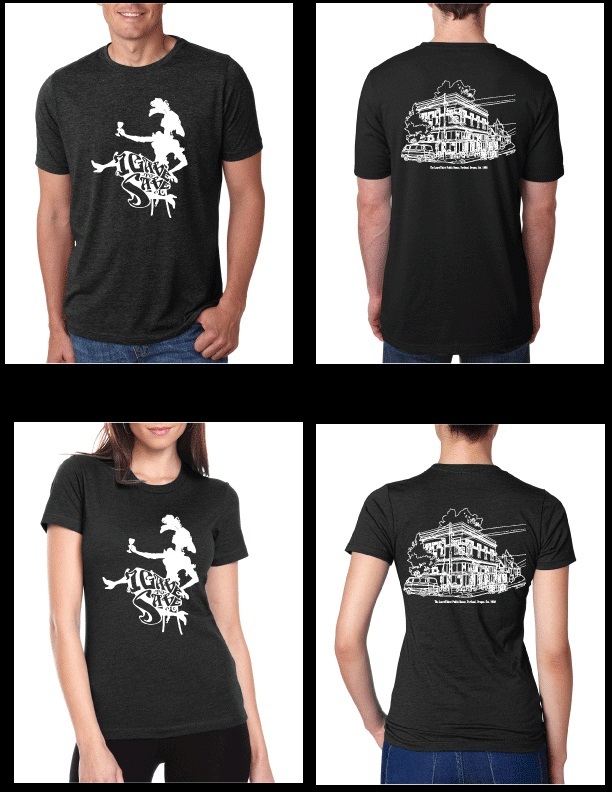 Receive an "I gave to save" commemorative T-shirt. All sizes available in women's and men's styles. Private show. Details located under "Reward Levels" section. A pair of tickets to one of the Decemberists' sold out(?) shows on June 22 & 23 (you choose) at the Edgefield (M. Ward opens), plus a poster SIGNED by the band! Private solo show. Details located under "Reward Levels" section. Anita Lee Elliott. Private solo show. Details located under "Reward Levels" section. Annalisa Tornfelt. Private solo show. Details located under "Reward Levels" section. 3 Harmonica lessons provided by David Lipkind. Expires one year from donation. 1 Harmonica lesson provided by David Lipkind. Expires one year from donation. One hour guitar lesson provided by Tate Peterson. Must be willing to come to his studio in NE Portland. Timing to be agreed upon. Expires 1 year from donation. 90 minute massage provided by Caroline Hoof of Little Wing Massage. Offer expires one year from donation. One hour massage provided by Caroline Hoof of Little Wing Massage. Expires one year from donation. 30 min massage provided by Caroline Hoof of Little Wing Massage. Expires one year from donation.